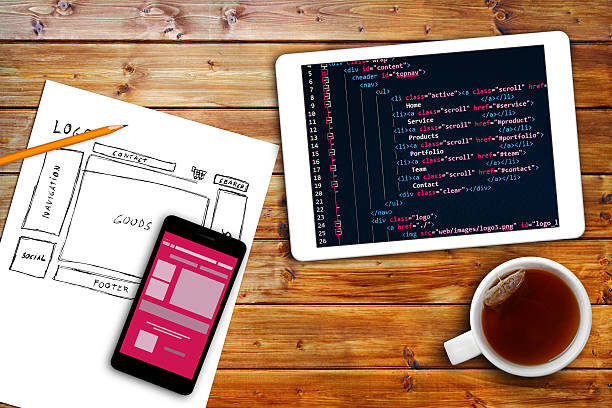 Choosing a web design company is never easy at first, that’s why we bring you these 9 tips for choosing a web design company with intelligence. When we think of all we would have to do for ourselves if there were no web design companies, we even have a headache. But the next step that can cause you to have a headache is how to choose a good web design company, “if I don’t know anything about it”. Well, this post is intended to give you some tips on how to recognize a good web design agency and hire it with peace of mind. When we’re not familiar with the subject, we may think it’s very complicated or even scary to hire a web design company. That will be in the past, let’s start using common sense, that always helps us in the most difficult cases. When you enter the website of a web design company, you will know a lot about it, does it look good, loads fast or is it slow? Do I like what I see? Is it attractive? Does it invite me to hire their services or is it boring? Before starting, it is essential that you already have a clear idea of what you want your website to look like. You can use other pages as a reference or identify what you like best about them so they can replicate it on yours. Think about the colors, what kind of images you would like, but especially, what emotions and experiences you would like to bring to your users. These tips for choosing a web design company will be of little use if you go with the first agency you come across. Look for several web design companies, research them and compare what they offer from one another, sometimes the most famous will not be the best for you. Also, look for opinions on the network or even friends or acquaintances who have hired the same services you are looking for now. Compare quality, prices, delivery times, attention to the service and what each package includes. Among the tips for choosing a web design company, you will always be aware of your previous work. Every web design company should have a sample of the work they have done, there you can see their style of work and whether you convince you or not. You can even take inspiration from there, think about if you want some similar design if you liked the combination of colors, fonts, images, and so on. According to your budget is the type of company you can hire, ie, will not be the same budget that uses Coca-Cola and therefore, will not be the same work. Sometimes we can underestimate this important job and hire charlatans who offer their supposed services at low costs. The surprise is great when you compare your expectations with what they give you. That’s why it’s unreliable when they offer very low costs for web design services, as you may find yourself with bad jobs, delays in deliveries or encounter people who really don’t know what they’re doing. The most important thing about these tips for choosing a web design company is to know how they treat you before you hire them. They say that the fish dies by the mouth and in this branch, you can also identify low-quality companies by the attention they give you from the first contact. Imagine that a web design company or agency, that doesn’t treat you well even on the first call or email, will be difficult to do once you hire their services. The most normal thing would be to be treated the best from the first contact to ensure that you want to hire them, if they do not take care of these details, they will not do so for other more relevant. What does your budget include? When you ask for a quote, you should ask them to be as clear as possible, so that you know what the services they offer really include. For example, know if the creation of a website includes the content or if you should provide them. This is the case of descriptions, texts, images or videos that you might want at the beginning of your website. And if they were not included, what would be the cost of the extra services. Do you have knowledge of SEO, SEM and online marketing? If you will soon have your own website, it is recommended that you start learning SEO, SEM and online marketing strategies. Creating your own website will only be the beginning of the adventure, soon you will have to advertise it and share valuable content for your audience. Obviously taking into account the SEO on page and off the page, if you want to make SEM campaigns and let your imagination fly by creating online marketing strategies. Maybe at the moment, you are not available or interested, in that case, you can turn to the same company to help you, so you should know if they also offer these services. Do you create content for the user experience and Google? In the same way, you need to know if they are dedicated to creating content that generates a good user experience and that Google also likes. You should know that Google chooses the pages it considers best to provide a good user experience, as well as their degree of usefulness. Therefore, if the company you choose is also dedicated to the creation of optimized content and value for users, you will be finding a great ally. This point is vital for choosing a web design company, look at your website, does it have good speed? How long did it take to load? Is it attractive? Does it convince you that they are professionals in the field? Does it have a clear and simple configuration? What you observe and the previous tips for choosing a web design company will be able to guide you to know if you are facing professionals or amateurs and hire with tranquility or abstain. We hope that these 9 tips for choosing a web design company will be useful to you, do you know someone who could be useful to you? In the event that you are looking for a reliable website design agency, then just click discover more now. Other than that, here is another post that you will find useful to read as well, https://www.huffingtonpost.com/harold-stark/the-5-web-design-trends-f_b_10614104.html. How Do You Get Business Factors?